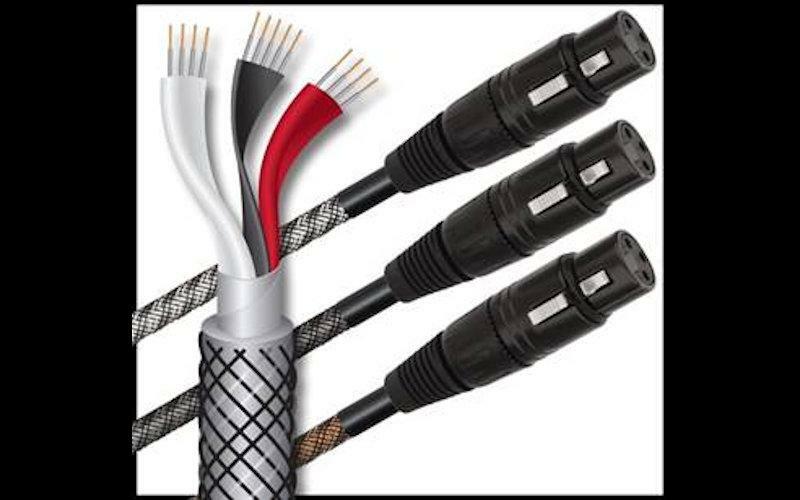 Wireworld has announced the immediately release of three new cables in its Series 8 lineup for cables and interconnects. The three new offerings, Micro-Eclipse 8, Micro-Silver Eclipse 8, and Micro-Platinum Eclipse 8, differ mainly in the material of their conductors, starting at 7N (99.99999% pure) copper at the introductory level, up through 7N silver clad copper, and finally 7N solid silver. Pricing ranges from $110 per meter to $400 per meter. The line is available now. Wireworld Cable Technology, one of the world's most respected brands of high-performance audio and video cables, introduces three new cables for 110-ohm digital and analog audio applications. These highly flexible 26-gauge cables utilize Wireworld's patented DNA Helix conductor geometry with 100% shielding and proprietary Composilex 3 insulation to improve the fidelity of consumer and professional audio systems. These advanced design features were developed through listening tests that compared prototype cables to virtually loss-free direct connections between components. The three cables differ only in their external colors and conductor materials, which are variations of the world's purest Ohno Continuous Cast 7N (99.99999% pure) copper and silver. Micro-Eclipse 8 is a copper-colored cable with OCC-7N copper conductors. Micro-Silver Eclipse 8 is dark silver cable with OCC-7N silver-clad copper conductors. Micro-Platinum Eclipse 8 is silver-colored cable with OCC-7N solid silver conductors. All three cables sound remarkably neutral in listening tests. Variations in their sound are mild, however moving up from copper, to silver-clad copper, to solid silver increases both resolution and dynamics. The twisted, three-layer internal structure of the cables places thirteen separate strands completely in parallel, avoiding the electromagnetic 'eddy current' losses caused by conventional stranded and solid conductors. This DNA Helix (Delineated Neutralizing Array) conductor geometry is protected by US patents 8,569,627 and 9,620,262. This unique technology reduces timing errors to provide audible and measurable improvements in preserving musical detail, natural tone quality and dynamic expression. • New Active HDMI Cables From Wireworld at HomeTheaterReview.com.